I am actually not sure about the baking time for this dish. The original recipe made 6 servings and baked for 40 minutes. I never wrote down what the cooking time was for the larger batch. So just keep an eye on it and let me know if you make it how long it took. 10 sticks butter 2 1/2 lbs. 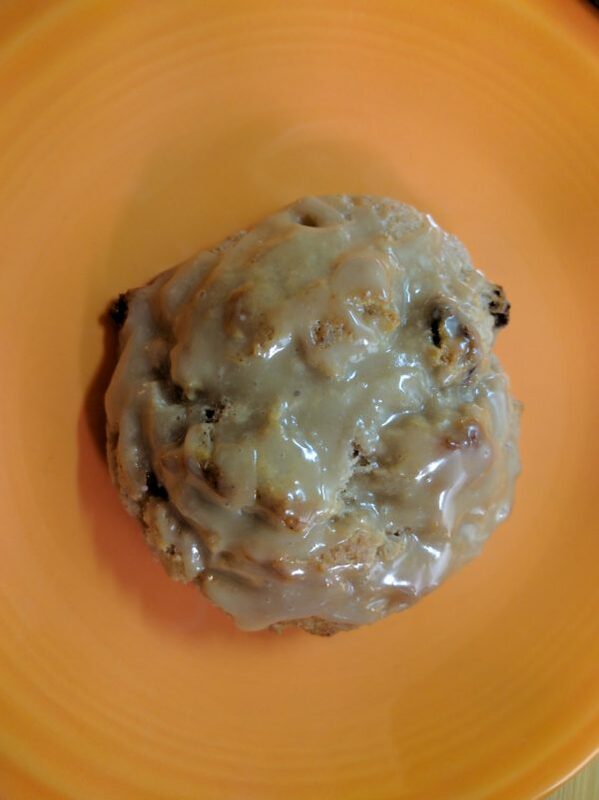 Combine oats, brown sugar, flour, cinnamon, and salt in mixing bowl. Cut in butter until crumbly (should be the size of coarse crumbs). Peel apples. Half, core and slice fruit. Place in bottom of pans. Sprinkle oat topping over the fruit. Bake in 350 degree oven about 40-60 minutes or until apples are tender. Serve warm with whipped cream or ice cream. Peach Crisp: Substitute 2 1/2 lb. peaches (about 10 medium) for the apples. This is not at all sweet, but my husband loves it! Of course, if you prefer it sweeter, add more brown sugar or honey! Preheat the oven to 350 degrees. Line a large cookie sheet with parchment paper. Set aside. Combine all dry ingredients in large bowl. Combine liquid ingredients and add to dry ingredients. Stir to mix. Spread onto parchment paper lined baking sheet. Bake for 15 minutes, then stir. Return to oven and bake for another 10 minutes without stirring. Remove from oven and allow to cool completely. Break into large clusters. Store in covered container at room temperature. Mix butter, brown sugar, egg and molasses together thoroughly. Stir together remaining ingredients, then stir into butter mixture. Chill dough. 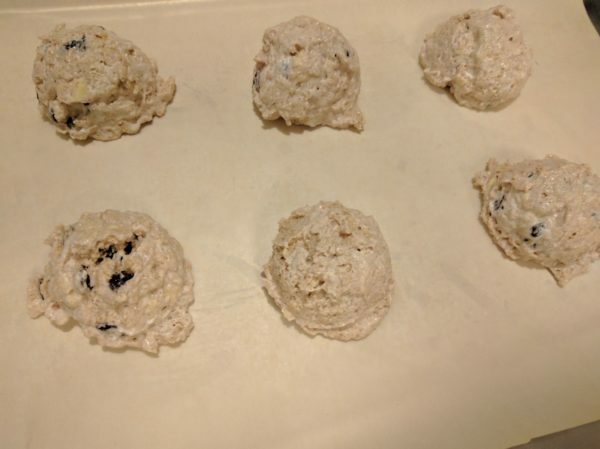 Using small cookie scoop, roll into balls. Dip top in sugar. Place sugar side up on greased cookie sheet, 3" apart. Sprinkle each cookie with 2-3 drops of water. Bake at 375 for 10-12 minutes, until set, but not hard. 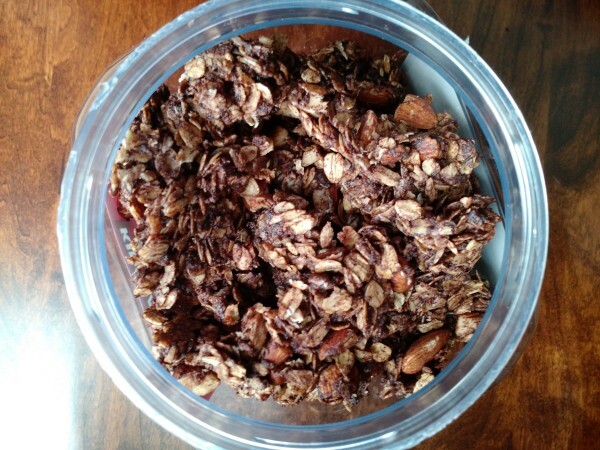 My preference is honey and granola (http://www.cherylsrecipes.net/recipe/easy-homemade-healthy-granola/); my husband likes brown sugar. Put all ingredients into an uncovered saucepan. Bring to a boil. Reduce heat and cook 3 minutes over medium heat, stirring occasionally. Cover; remove from heat. Let stand 2 minutes or until desired consistency. 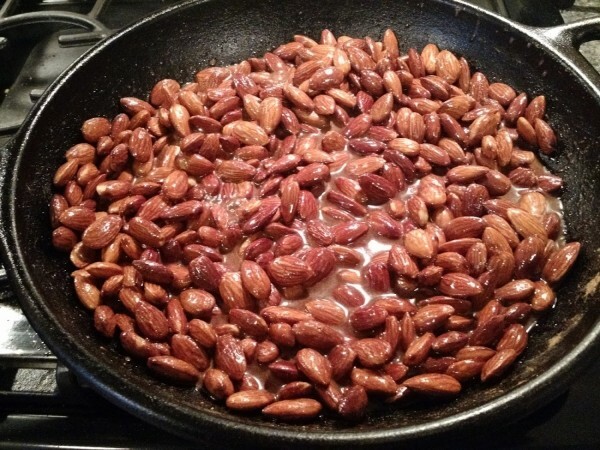 This is a stove top recipe for cinnamon toasted almonds that is not too sweet, but is addictive! In a large, heavy bottomed skillet, place all ingredients. 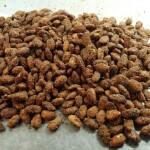 Cook, stirring constantly, until the sugar has dried on the almonds and it has a furry looking appearance. Pour onto a large sheet pan and let cool. This also works well with pecans.